Review: 6 hour Protection Lip balm by Neutrogena! Every girl I know, is on a constant hunt to find a perfect lip balm for herself. With this product that I tried out, I might as well say my hunt is over!. 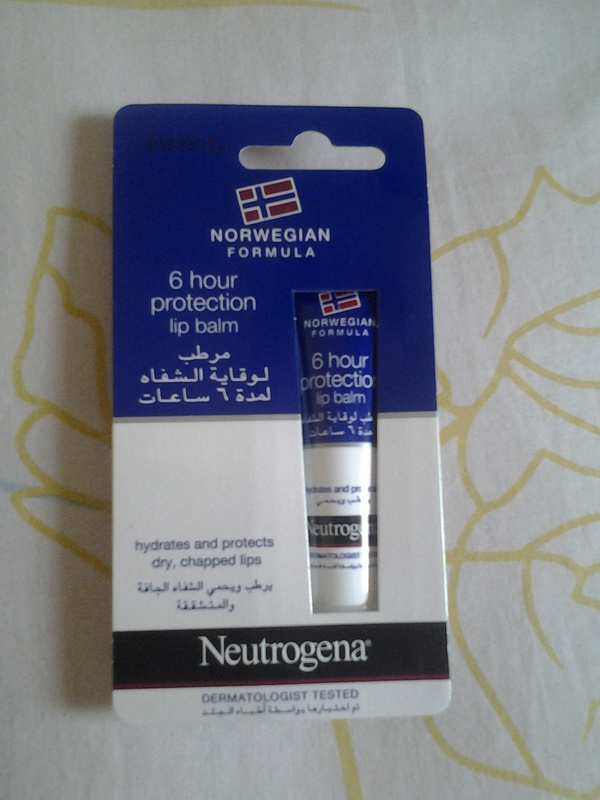 I am talking about the Norwegian Formula 6 hour protection lip balm by Neutrogena! I generally love the brand Neutrogena and I was pretty excited to try this lip balm because of what it promised : “hydrates and protects dry, chapped lips”. My lips tend to be dry at times, though it’s not in a chapped state. But still, it sounded so great and let me say, the result was exactly what they had promised. It’s perfect for this hot weather in UAE. It’s a white colored balm which goes on the lips without being glossy. It gives your lips a flawless, matte look. It’s totally non sticky. Your lips would really feel instantly protected by an invisible film. When you apply it just before your lipstick, the result is gorgeous, smooth and supple lips! It comes with a rounded tip which makes application easy. You need, say two tiny dots to spread onto your lips. This will definitely last a long time. As for the 6 hour protection, well, I got it to stay for about 4 hours but if you eat and all that it goes away and you need to reapply. I HIGHLY recommend you try this lip balm. It’s like no other, feels luxurious but at the same time is budget friendly. 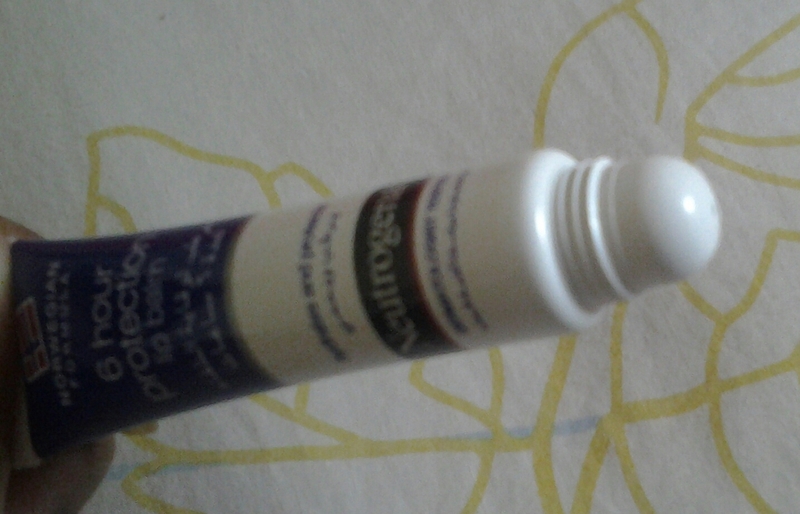 A 15 ml tube costs AED 14.50. It takes hydration to a new level. You gotta buy this!. Available at all local super markets. I told my mom and sister in law to pick up one each and they did so from Carrefour, Dalma Mall. ← All-natural SPF 40 sunscreen from Herbline Essentials! Oh really??. That’s really surprising. For me, it hid any natural lines I have on my lips and gave a flawless look. You had an opposing effect. That’s weird..
Are you serious??.. I can’t believe that :(.. Of late I am always wearing it underneath lipsticks to get a fab finish!.. Works great for me..
Yeah it’s awesome!. You should try it..